My name is Valentina Santamaria, I am from Caracas, Venezuela, I love my country more than anything. I graduated from high school there in a school called "Colegio Los Campitos" after I went to Boston to study english. Finally, I came to Miami did my associate degree at Miami Dade College and now I am doing my bachelor degree at Florida International University. I want to be a teacher because I believe education is the base of the society and I want to make a change in the Venezuelan society. I really enjoyed this collection. 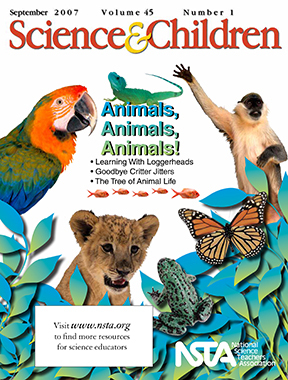 This collection had a large variety of resources starting from chapters books to journal articles relating with the basic needs of the animals. I really like the journal article "Animals and the capacity to Care" this gives a brief points to the importance of making children aware of and caring about the animals they normally don't see. Aside of having short articles she has a detailed 5E lesson plan in the article "Habitat Sweet Habitat" its a good article too, it talks about camouflage and give an example of an experiment a teacher did in class with the results and the observations of the students. I really like reviewing this collection because Valentina has many valuable resources that will help me in the future as a teacher. This is an assignment required for the class SCE 4310 and the teacher's name is Dr. Kathleen Sparrow. This collection will contain several resources about the basic need for animals. Science 101: How do animals communicate underwater?